Leading wireless services provider Smart Communications, Inc. (Smart) announced today the availability of the Samsung Galaxy Gear, the revolutionary companion device for the Galaxy Note 3, for as low as P13,500 with the Unlimited LTE Data Plan 2000. Dubbed by tech enthusiasts as the ‘smartwatch,’ the Galaxy Gear is a wearable android device that may receive notifications, alerts and messages streamed from the Galaxy Note 3 via Bluetooth. 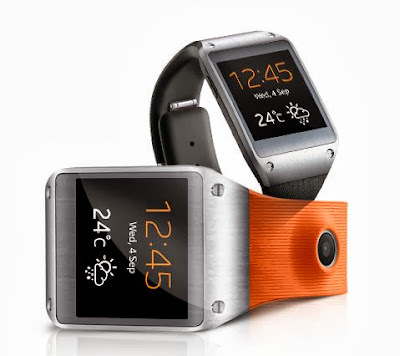 “With its cool functions and ease of use, the Galaxy Gear may not only inspire more wearable android gadgets in the future but also define the way we use our mobile devices,” Carag said. "And as Smart’s reliable network optimizes the use of Galaxy Note 3, it will definitely do the same for the Galaxy Gear,” she added. Smart pioneered the use of 4th generation (4G) Long Term Evolution (LTE) in the country, which enables users to surf at blazing speeds that can reach up to 42Mbps. Smart also offers the widest LTE coverage with over 1,000 sites, across almost 180 cities and municipalities all over the country. Smart LTE also covers all 17 cities and municipalities that make up Metro Manila.